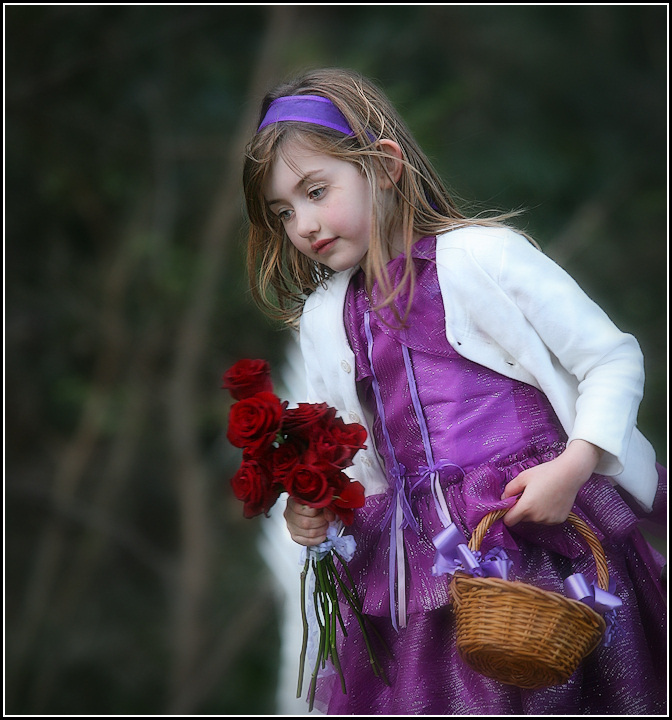 Shot of my niece, as a flower girl at her aunty's wedding. I'm not sure what the fuzzy white thing behind her is. I can only assume it's someone else in the background. The shot is great, soft focus and colorful works lovely, too bad you chose to tilt it like this...it doesn't add much, but its just my opinion. her face is almost perfect. some of the blurring has a random rather than selective feel to it. Superb color and focus on the little girl. you've captured a very subtle expression on the young girls face. Well done! Proudly hosted by Sargasso Networks. Current Server Time: 04/26/2019 09:38:37 AM EDT.